I have to say there is something very, very nice in this weather about living in a seaside village in Scotland. 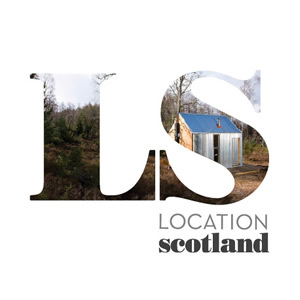 Plan for the day: quick morning at my desk, before an EGG working lunch in Edinburgh, home for an afternoon swim in the sea, then a shower, change and off out for dinner! Yes, the beach will be empty and yes, the water lovely. The seaside village that beats all seaside villages (although it is a close contest with Gullane) is Elie – Scotland’s St Tropez. 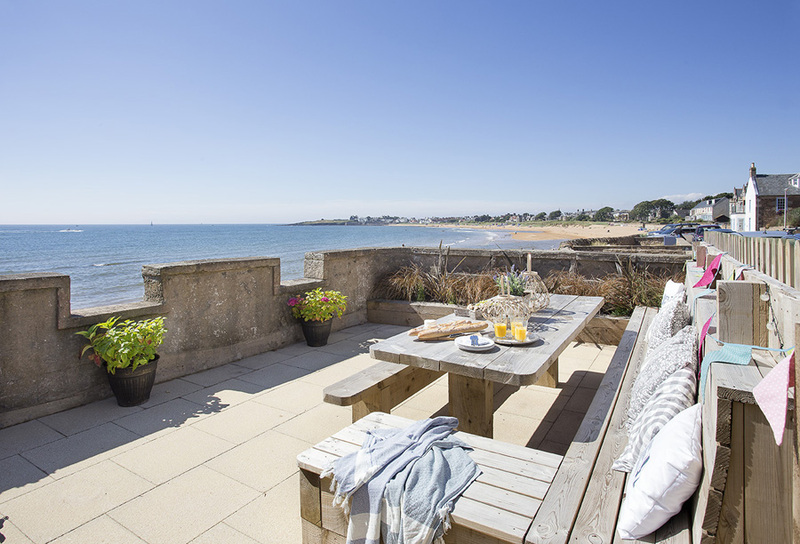 Tucked into a string of exquisite fishing villages, on the East Neuk of Fife, close to St Andrews, this jewel has an endless south facing beach and is lined with gorgeous homes and lanes leading down from the High st and back up to the surrounding championship golf courses. It literally sparkles on a sunny day and is a great place for a holiday, the pubs and shops are wonderful and the locals extremely friendly. The Blue House is named for it’s distinctive blue granite facade. 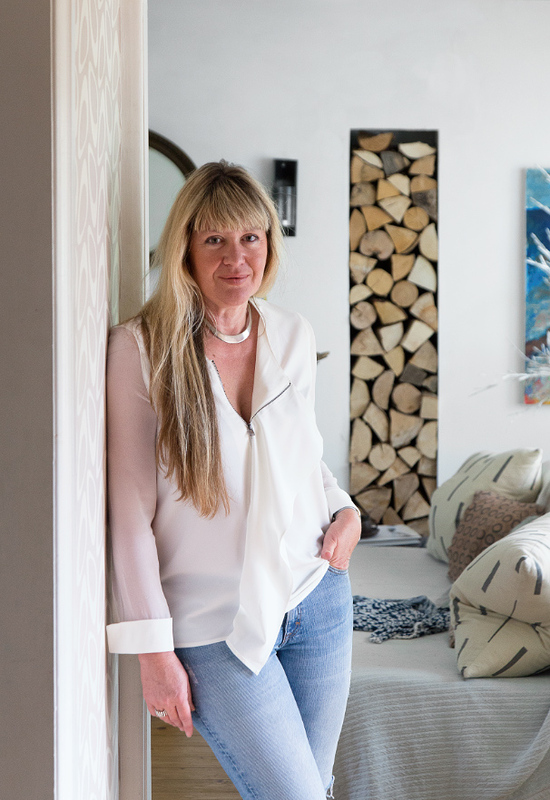 The owner, Jo, lives in London but is from Scotland originally and has family locally. As a frequent visitor, realised it made sense to buy somewhere here. 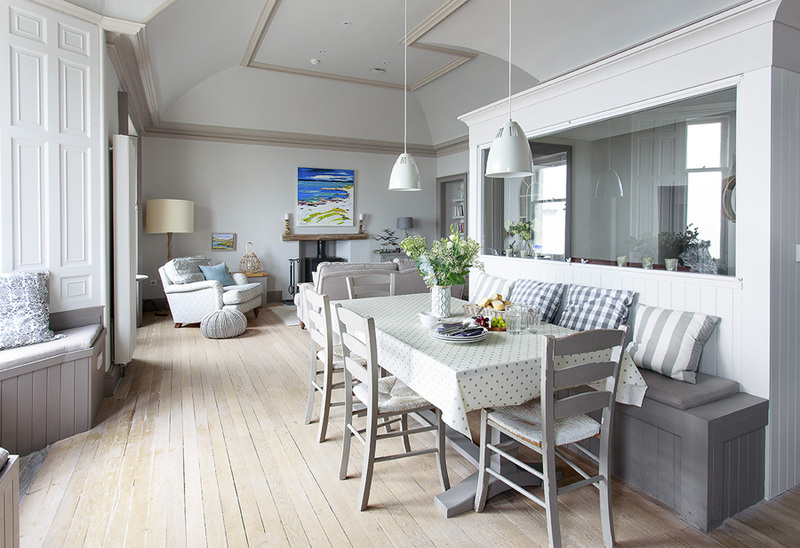 And what a magical buy it has been, the open plan living room and kitchen diner has a simply magnificent view. The house has it’s own private patio on the beach, across the road where the family can picnic. 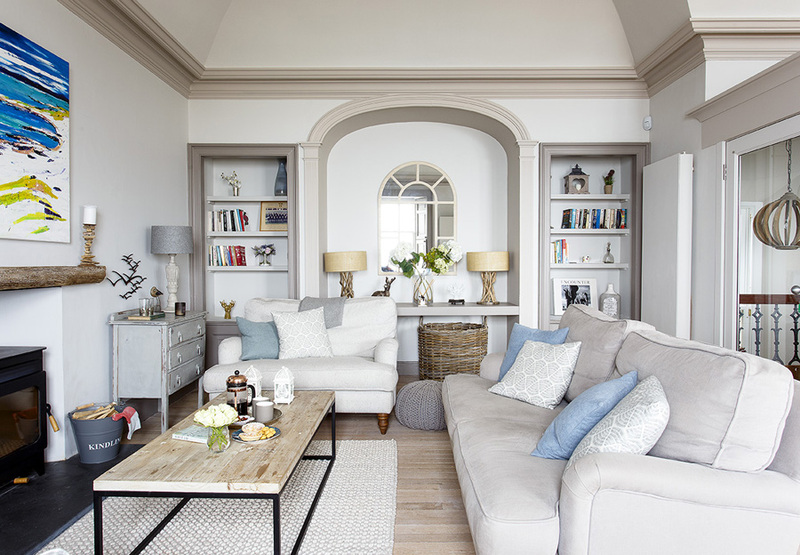 Jo has decorated the interior in a gorgeous palette of soft seaside colours, sands, pale blues and greys. 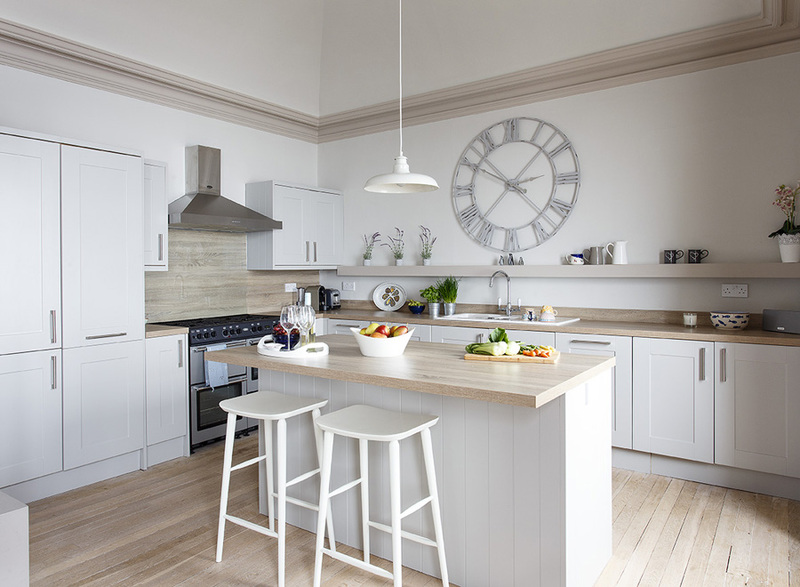 The large wrought iron, industrial wall clock makes a wonderful kitchen centrepiece. 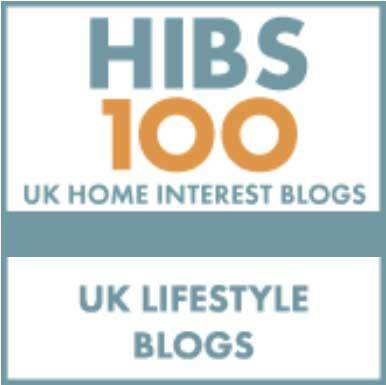 Time and Tide Stores can be found online, in the owners home town, the seaside town of North Berwick, Edinburgh and a new spacious showroom at St Georges Cross in Glasgow. 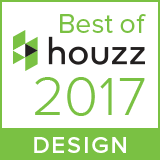 They are great for creating a gentle, contemporary interior. 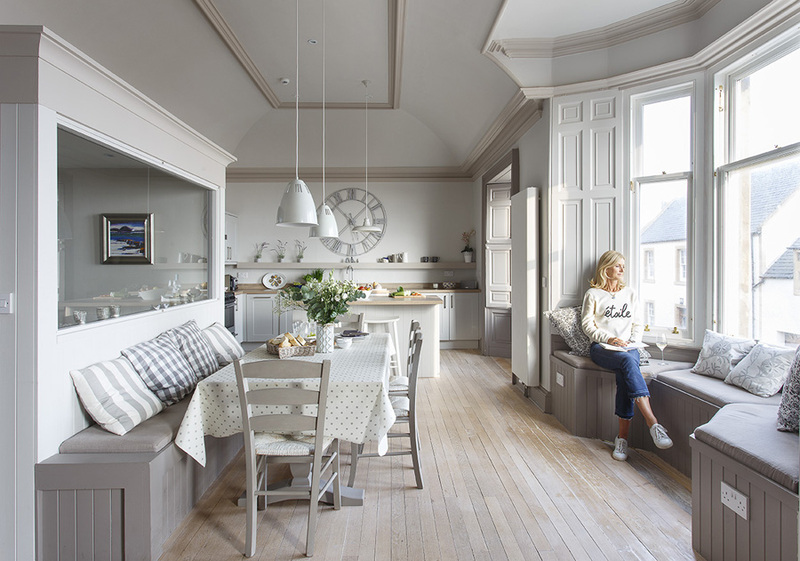 Some of Jo’s furniture has been bought locally from an award winning candlemaker and upcycled furniture specialist in the East Neuk, called Jo Macfarlane. She always does a beautiful job. 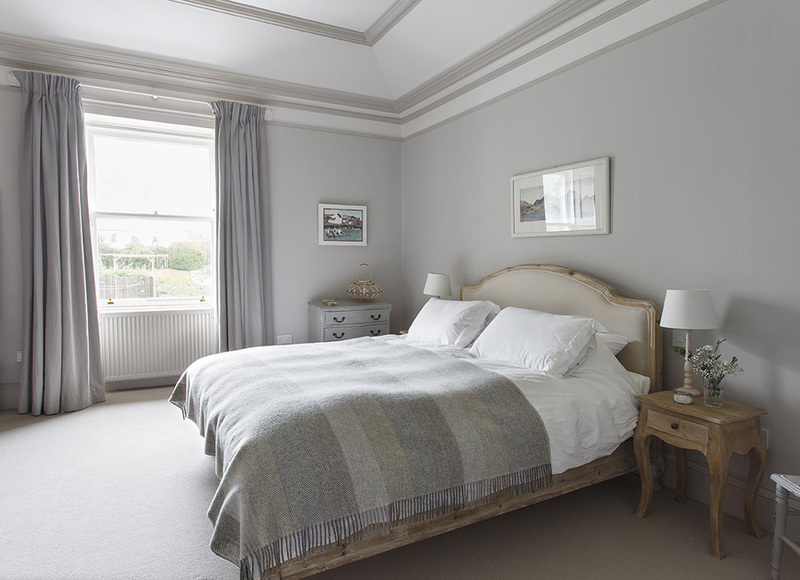 The bedrooms are all similarly restful and soothing. 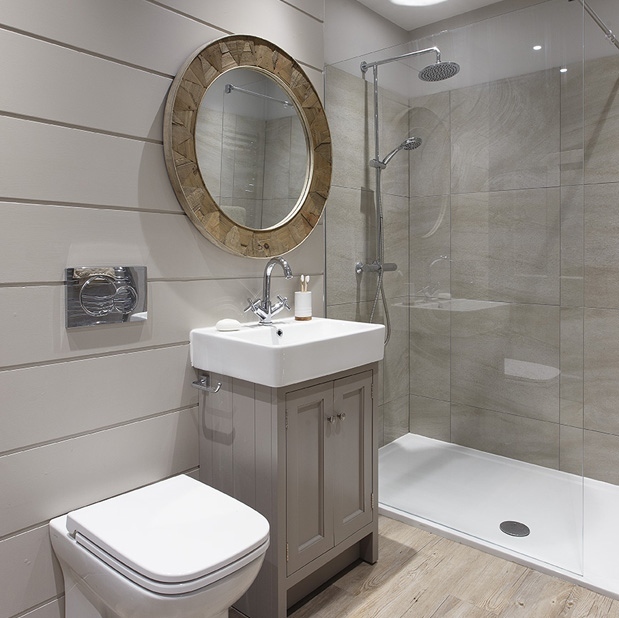 Bathrooms all fitted to a very high standard. The view is so mesmerising – Jo often feels she does not want to leave! 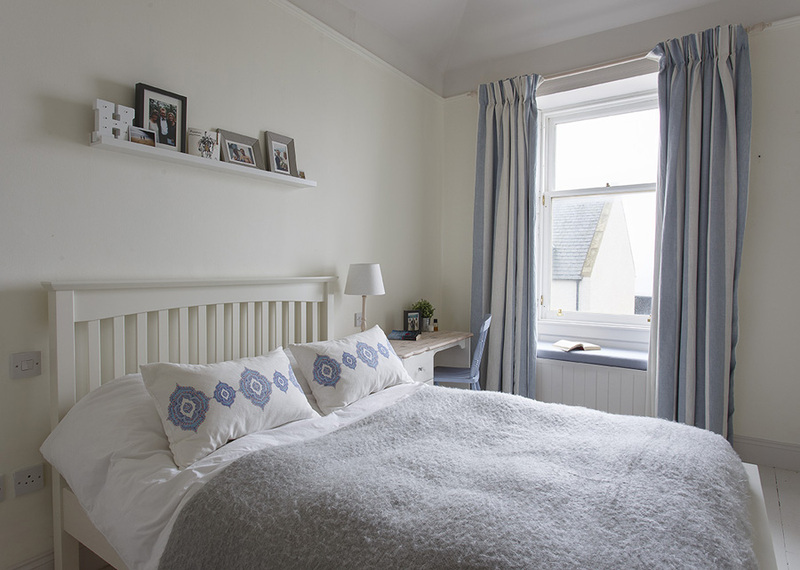 The Blue House and a number of beautiful properties in the area are available to rent for holidays through Elie Select.